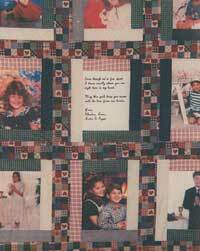 Photo memory quilts are become increasingly popular and easier to make as today the process of transferring photos to fabric is accessible to everyone. When converting photos to fabric it is always easiest to use a digital camera or burn the photos onto CD. That way you can color correct any pictures that might have been over exposed. You are also able to crop fairly simply as well. If you are using photos that have been printed and you do not have a copy on the computer then you have a couple of options: you can scan the photo and save it to the computer or you can send it to a photo lab and they will put it on CD for you. Once you have chosen the photo you also have two choices as to how you would like to transfer it to fabric. Firstly, you can do it yourself. This is not actually a difficult process – you just need certain equipment to do it. You will need a color printer and some inkjet printer fabric sheets. These fabric sheets have been primed and are all ready to go. It is a good idea to do a test run on paper first just to make sure the photo comes out the way you want it to as the sheets are expensive! Quite a few printers are capable of this procedure however it is a good idea to check and see if yours is one of them before you buy the fabric sheets. The second option is to send your photos to a photo lab and have them do it for you. This is a really good idea as they will be able to color correct your pictures and make sure they come out perfectly. It is the more expensive option, however considering the amount of time and money that you will put into the rest of the quilt, you might be able to justify it. Photo labs are also an excellent idea if you are using old, faded or damaged photos. They will be able to color correct, add color and even restore torn or ripped photos, making them look like new! If you are missing the corner of the photo they are also able to make up the missing bits to a certain degree, or at least make it look like it is a corner! 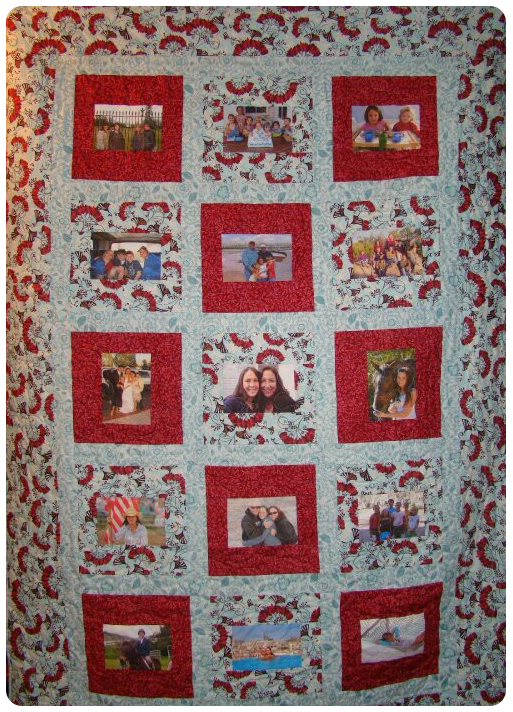 There are a number of places where you can have photo memory quilts made so you don’t have to do it all yourself. 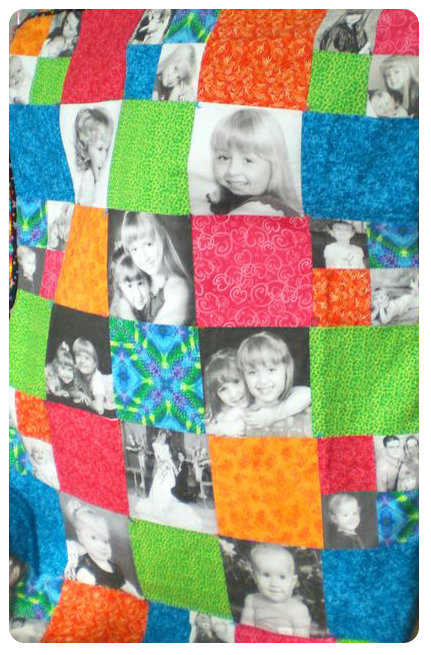 Shutterfly.com will let you send your photos and have them printed on fabric and turn them into a photo memory quilt. 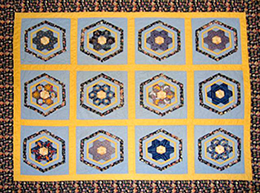 Make sure to check out our page on traditional memory quilts if you have not already.